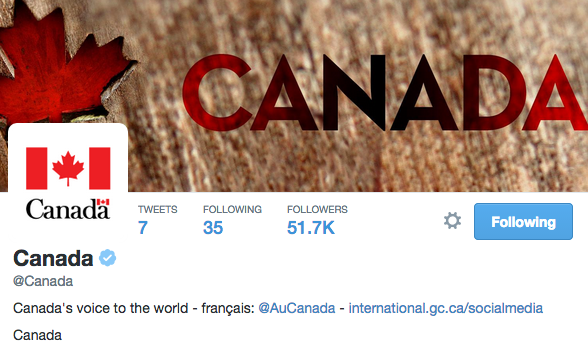 Today is a day for Canadians to be proud as @Canada joined Twitter. In just 10 hours and only 7 tweets there’s been over 50,000 patriotic followers. The account is run by the Foreign Affairs, Trade and Development department of the Canadian government. Be proud because today is a good day to be Canadian and show your pride!